DO NOT SNAIL MAIL OR PDF DOCUMENTS. We will not be able to use them. Data must be in .doc or .xls or .csv format. Need assistance doing this? Call us! PLEASE NOTE: No more widget! Delta provides you with an export we can use. 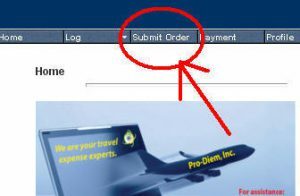 Pilots – Follow the instructions below to obtain your Pilot Activity Statements (MyPAS) and upload data to Pro-Diem, Inc.
Training & More – Be sure to include profile notes regarding travel dates and location for any out of base AND away from home (more than 35 miles from your residence) training. Also let us know of any TDY or deviations that need to be accounted for. Otherwise, data provided will be used for report. Select months for the tax year needed AND December of the year prior as well as January of the year after (if available). This captures any trips that might carry into and out of the year. If you have an older MAC, you may need to ZIP the file by right clicking the file and selecting “Compress” which will reZIP the folder making it small enough to upload to our database. Click on Select File button, then click the small folder icon to locate file on your computer. Don’t forget to give us your TRAINING information in your Profile! This is the flight data submission option for Delta Air Lines Pilots.